Russian aircraft carrier and battle group Admiral Kuznetsov in Syria since 2016. 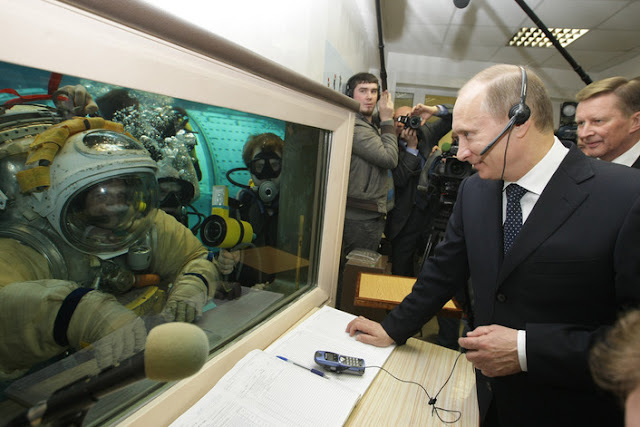 KREMLIN — The Russian military is deploying a flotilla of at least 10 ships to the Syrian coast, the Izvestia newspaper reported Tuesday, citing unidentified Defense Ministry sources. The grouping was reported as Russia’s most powerful to deploy to Syria since Moscow began its intervention in the conflict there nearly two years ago. The Izvestia report comes one day after Russian Defense Ministry spokesman Maj. Gen. Igor Konashenkov told reporters that Moscow was concerned over apparent preparations for an American cruise missile strike on Syrian government forces as they ready to launch a final offensive on Idlib — the last remaining rebel stronghold in the Syrian civil war. The Russian naval grouping is led by the Northern Fleet’s guided missile cruiser Marshal Ustinov, a large anti-submarine warfare ship called the Severomorsk, three of Russia’s newest frigates, one large patrol ship, three small missile boats and two Kilo-class submarines. Many of these ships, Izvestia noted, are armed with Kalibr cruise missiles. Several more ships are reportedly en route to join the flotilla, making it Russia’s largest (in terms of pure numbers of hulls deployed) naval deployment to Syria — and possibly the largest since the end of the Cold War. But claims that it is the most powerful deployment are dubious; in late 2016 Russia’s two largest ships led an eight-ship flotilla to Syria on a power-projection cruise. The main difference between the two groups are their military capabilities. The two ships that led Russia’s last major naval deployment to Syria were the aircraft carrier Admiral Kuznetsov and nuclear-powered battlecruiser Peter the Great. They were accompanied by two destroyers and several other ships. 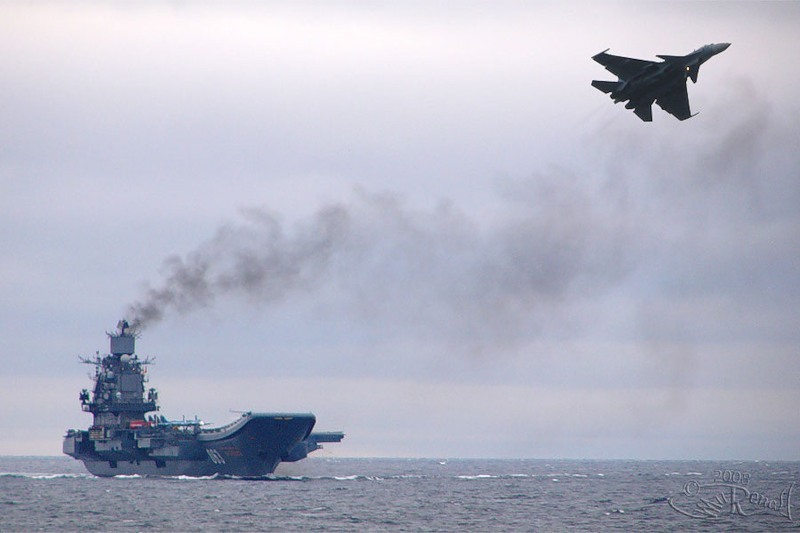 However, Kuznetsov and Peter the Great are not armed with Kalibr missiles. When the Kuznetsov battle group deployed to Syria in late 2016, it did so as Washington was again debating the merits of strikes on Syria. That group was a better deterrent — for no other reason than Peter the Great was in theater. The Russian battlecruiser is designed to pound American carriers from a distance. But the group en route to Syria is now comprised of smaller ships with cruise missiles, indicating Russia may have an eye on supporting the Syrian government’s expected push the major offensive into Idlib. For Washington’s post, Russia’s allegations of a coming strike have been brushed off as propaganda.